The first official looks of actors Aishwarya Rai Bachchan and Randeep Hooda from Omung Kumar's upcoming directorial, Sarbjit, are out. The film, which is a biopic on Sarabjit Singh, an Indian national who was convicted by a Pakistani court of terrorism and spying is in its production stage. While earlier, Randeep had given a sneak peek of his look from the film, the official glimpses of the actors reveal a lot. Aishwarya, who's essaying the character of Dalbir Kaur, Sarbjit's sister, appears in a completely de-glam look in the film. Wearing a cotton suit and sitting at a desk, Aishwarya seems to be lost in her world, in the first look. Randeep, on the other hand, appears to be standing in an akhada (training hall for wrestling) with a wide grin on his face. 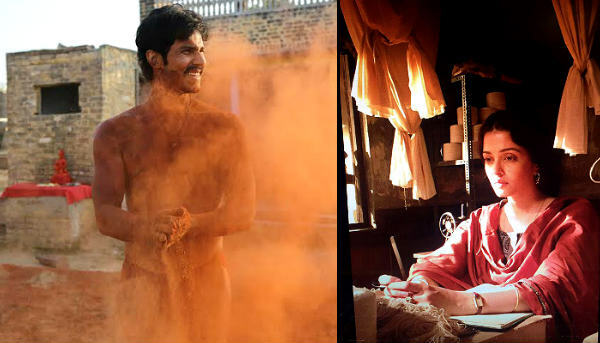 Sarbjit also features actors Richa Chadda and Darshan Kumar in brief roles. Set for a 19 May release, the film is also slated to be screened at the 2016 Cannes Film Festival.